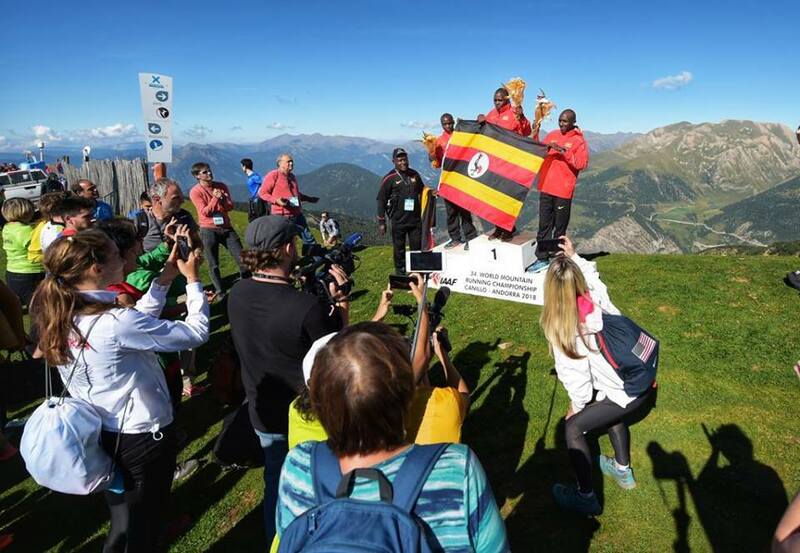 The 34th World Mountian Running championships in Andorra will always be remembered much for Uganda’s dominance of the event. Out of a possible 12 medals, Uganda took home eight which is over the average number. The Junior races started into an immediate steep climb followed by a forest trail leading to the final steep kilometers. In the junior women’s event it was a close battle amongst 3 nations for much of the course but over the final kilometer where it flattened slightly, Uganda arrived with 2 runners on the podium in Risper Chebet (1st) and Betty Chebet (3rd) while Germany’s Lisa Oed split them for the silver medal. The Junior men’s race started very fast and over the early stages Uganda pushed hard and ran away with the three podium positions. First home was Dan Chebet, Mathew Chepkurui was second and Oscar Chelimo third. Joe Dugdale was 4th for the UK and he had a close battle with Romania’s Gabriel Bularda. This proved crucial in the team ranking as Joe’s one place higher put the UK into the silver medal in the teams in front of Turkey. The title being taken by Uganda with the lowest possible points. The Senior Women ran an intriguing race and it was a dramatic title defence for Lucy Wambui Murigi (Ken). She held on from a fast finishing Maude Mathys of Switzerland and it was Kenya’s Viola Jelegat in 3rd. The men’s battle saw a clean sweep from Uganda. Robert Chemonges, Joel Ayeko, and Victor Kiplangat put on a dominant display. Joe Gray (USA) went with them early and pulled away from the chasing pack but couldn’t hold the speed of the Ugandans. Johan Brugge from Norway and the youngster Jacob Aitkin (UK) who is just out of junior ranks put in great performances for 5th and 6th.